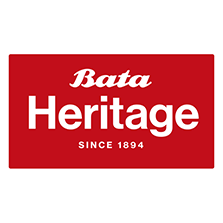 In a world where every brand is a 'Heritage' brand and everyone is claiming some grand history and relevance Bata stand apart from this with a genuine deep and rich heritage. Founded in 1894 by Tomas Bata in Zlin (now in the Czech Republic), over the years they have integrated in to the communities in which they work more than perhaps any other. By building Batavilles for their workers they enhanced the areas they set up in. Each of these Batavilles had not only housing but shops, education and recreational areas provided. These were set up wherever there was a factory, a local example would the the English former facroty in East Tilbury who have a website which is well worth a look ( http://www.bataheritagecentre.org.uk ). The forward thinking in factory and employee welfare was also seen in their innovation in footwear. 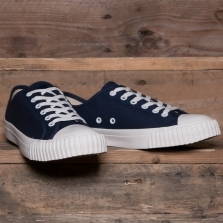 They created a specific basketball shoe for the Baltimore Bullets which they wore in the 1960s, manufactured in their factory in Belcamp, Maryland, USA. This Bullet is now faithfully reproduced and is what we now stock.